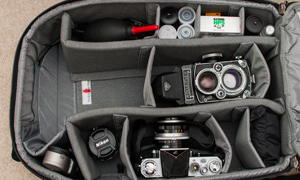 An interesting set up for you today, a modern bag with a bunch of classic cameras inside. 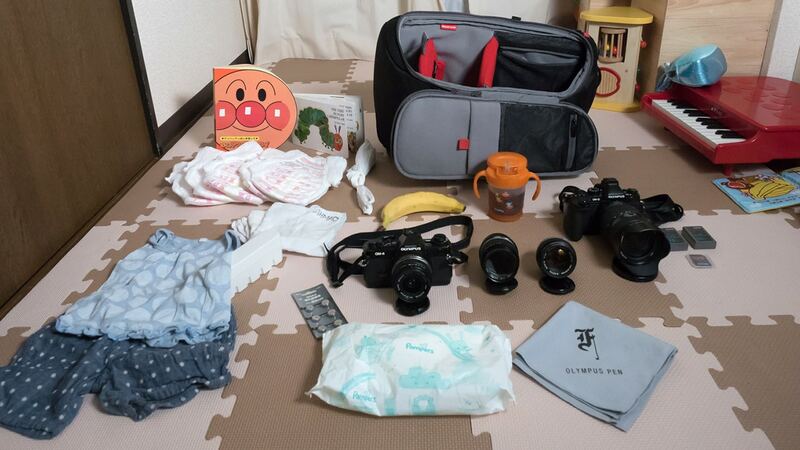 And just you wait until you read about where these cameras came from…So, lets see what Andrew is keeping in his bag. 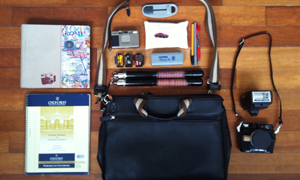 Hello, here is my bag for the “What’s in you bag,” submissions. Nikon D5000 and a 35mm f/1.8G (used to take photo), which sits in the main camera spot. Then I have a straps, rocket blower and a lens cloth. Then film, mainly ilford Hp5, Delta 100, and Fuji Acros 100. Then I have my beloved Rolleiflex 2.8E3, and below that is my Nikon F fitted with a Nikkor-S 50 1.4. Next to that is a Nikkor 28mm f/3.5 and next to that is my Sekonic L-358. 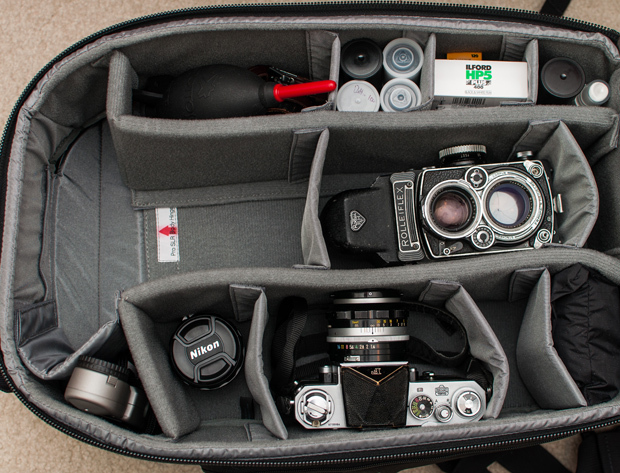 This is my hybrid digital/ 35mm film and medium format film setup, if I want to shoot film only I will skip D5000, move the F to that place and bring the Rolleiflex 2.8E3 and the Tele-Rollei (not pictured). The bag is a ThinkTank StreetWalker HardDrive, and it is for carrying everything, even a laptop if I want but, I really should get something smaller, like a medium sized bag, sometimes this one can get heavy. 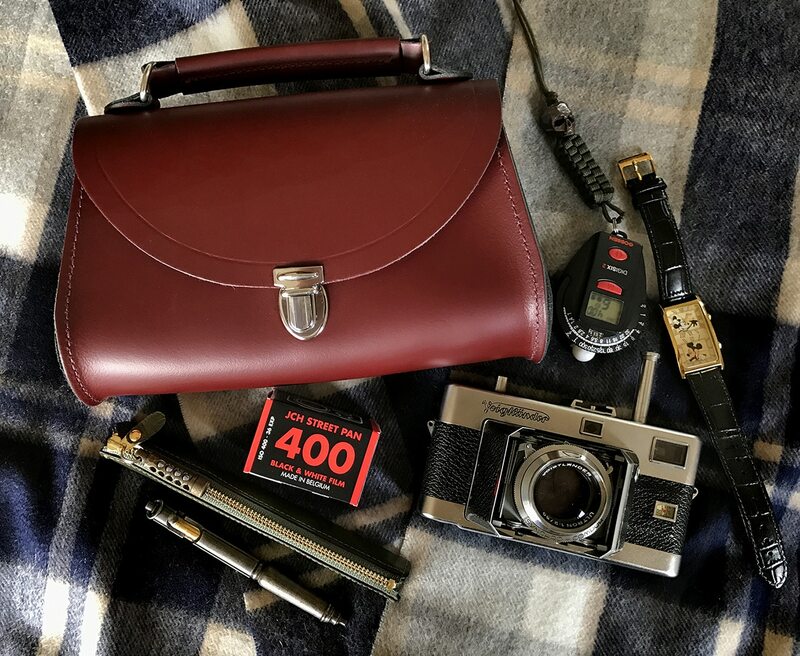 The Rolleilex (s) and the Nikon film cameras I have belonged to my great Uncle who was a production photographer for some great movies back the the 50’s and 60’s, Some Like It Hot and The Great Escape to name only a couple. So, I am definitely using some cool cameras with some great history in them. I heard about you through Eric Kim and want to say that your site is awesome! Thanks for sharing you bag Andrew, and thanks for your kind words. It is brilliant to see cameras with so much history still being used. Check out Andrews pages and comment. love the nikon f. i have one too and there is nothing like it. i also have a canon f1 (purchased from japancamerahunter, along with a contax t3) and a nikon f3. these are my main film slrs.